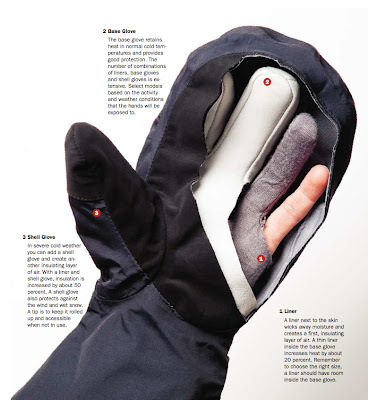 Home » The Right kit » Gloves for Winter - Mitts rule! Gloves for Winter - Mitts rule! I find myself sitting here looking at the window on a bright sunny October, 20C outside and I'm thinking about winter mittens! 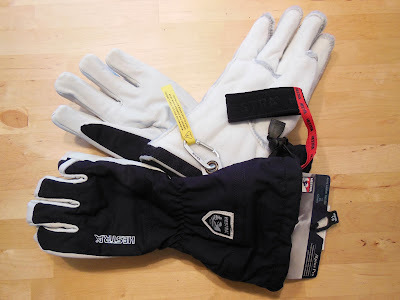 It got too late as we left spring behind this year, to write about all things winter glove related, but as we are getting more glove orders in, I thought I'd better put fingers to keyboard. 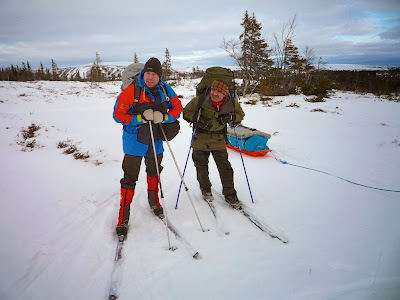 So these observations are drawn from my time in Norway on the Arctic Expedition training course, winter in Iceland and winter use in the UK. 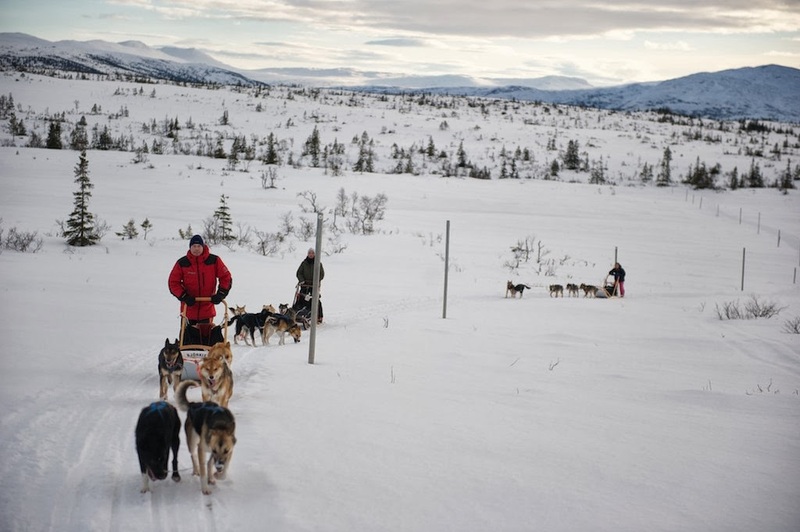 One of the key principles on gloves I've learned from working with the Norwegian polar trainers and explorers is the layering principal. Yes, it seems obvious since most of us know that's how we dress our core, but when it comes to gloves, most people don't see it. When you have to function on a cold mountain (taking photos, cooking or setting up a tent) it becomes apparent very quickly that one big insulated glove is not the answer. Even in temperatures down as low as -25C I've used thin liners to get intricate tasks done quickly, and I've also only needed thin liners when working hard pushing up a mountain in Snowdonia in winter. The Hestra Merino liner and Hestra Powerstretch are ideal.....the Powerstretch being warmer, but again, a little less dextrous. Hestra Merino liners hard at work! However, with both liners, if circumstance change your hands soon get cold, and you need another layer. No problem....throw on what the Scandinavians call a "base layer" glove. A good example would be the Heatra Kebnekaise wool mitt......a warm and cozy mitt made from pure wool. This base layer will be very much dependent on what you're doing, where and how you're doing it! For example, the wool mitts are great for keeping you warm so long as you don't need too much dexterity (however, with enough practice you can do anything apparently!). So for things like skiing, walking or simple tasks in the cold, they work very well. 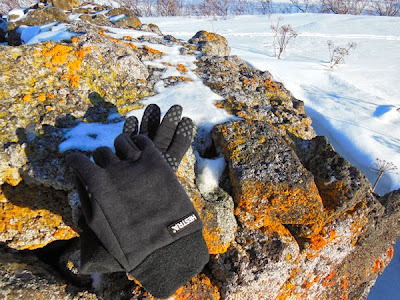 If I was winter climbing I'd definitely go for a fingered glove, such as the full on Hestra Blizzard, just because of the extra dexterity needed. However, I've found for pure warmth, you cannot beat a mitten. Another big advantage to the wool mitten is that you can put it in your sleeping back when you go to bed and by the morning it will be dry. Gloves with thick internal insulation take a long time to dry, and are therefore normally avoided if you don't have and electric heater to hand! What happens when it gets even colder, the wind is howling and it's snowing? Put on your Shell mitts! If you look really closely you can see the Shell mitts......it was COLD! We have two Shell mitts we carry. One is the Hestra Seam sealed mitt and the other is the Bergans Dermizax shell mitt. The main difference between these two is the Hestra mitts are more robust and designed for heavy use. The Bergans mitts are great for lighter use where you are not working to assemble and disassemble tents, handling sled dogs or digging snow holes with a shovel. Hestra estimate that putting a shell mitt on increases your insulation by about 50%!. Having used them in Iceland this past winter, I can well believe the numbers. As a general rule of thumb (spot the other puns in this article! ), only the thin liner should be snug on your hand. The base layer and shell layer should leave plenty of room to trap air....adding to your insulation. That's not to say they should be oversized, but comfortable enough to perform the task you need to get on with, but not restrictive in any way......you loose energy fighting a glove that is restricting. Big, insulated gloves have their place too amongst the options out there. 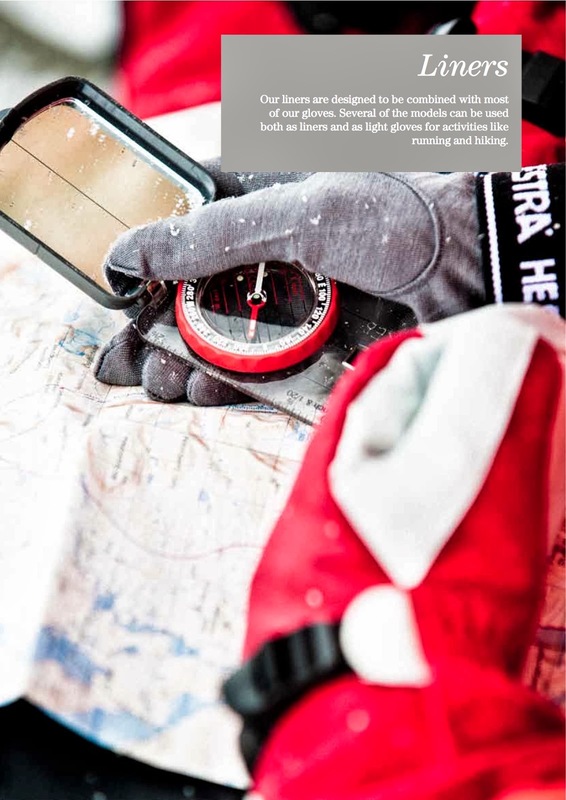 When downhill skiing from a resort, where you have the luxury of drying your kit for the next day, it's hard to find a better glove than Hestra's all conquering Army Leather Heli ski gloves. Worn by guides world wide and the choice of top skiiers, it's one of the best selling gloves that Hestra have. There are numerous reviews out there on these gloves, but for me, it's the thought that's gone into them and the quality of the finish(yes, they are super warm as well! ).They have a removable liner, which again really helps with drying, along with an elasticated wrist layard (for when you need to take them off without loosing them on the chair lift!). They also have a karabiner for hanging them to dry vertically (the correct way) and a pouch of leather balm to keep them in perfect condition for years of use. These are the details that make Hestra one if not THE top glove manufacturer in my opinion. 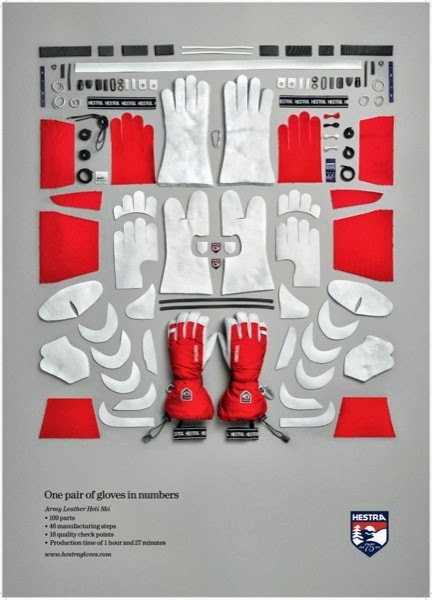 To illustrate the quality, here's a picture of the 109 pieces that go to making up the glove. This is a glove, that if looked after, will last for many years and will have paid for itself many times over.